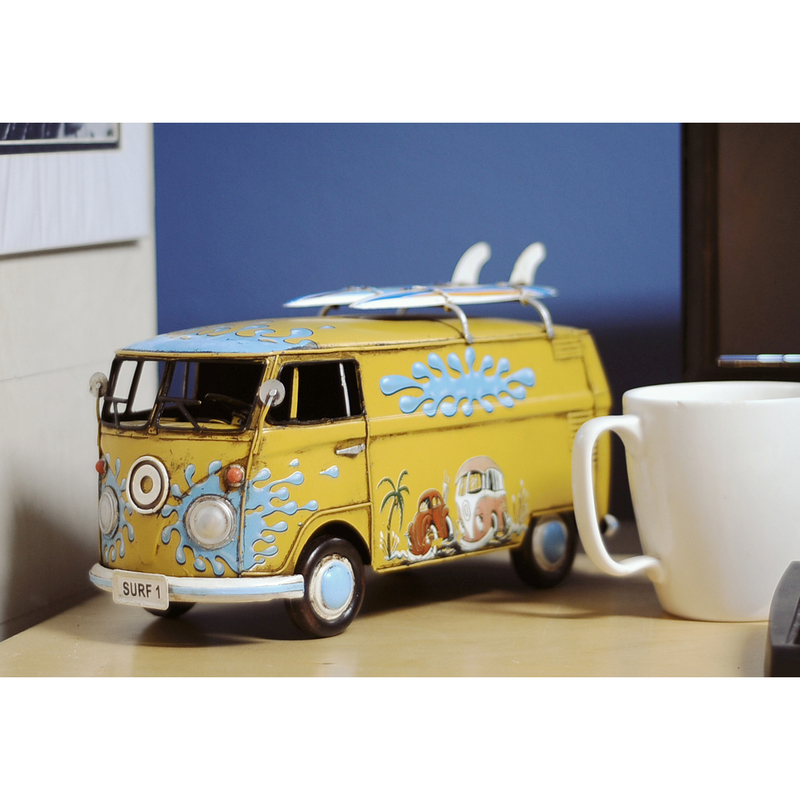 Nothing captures the spirit and nostalgia of the 1960s like a Volkswagen Bus with its split window screen. 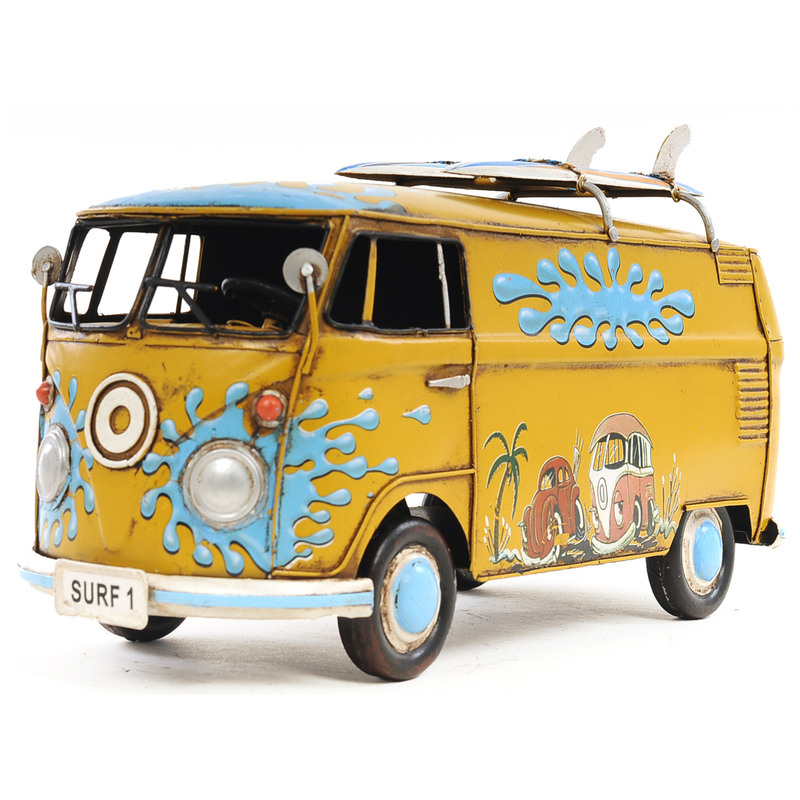 This 1967 Volkswagen Bus is scale at 1:18. 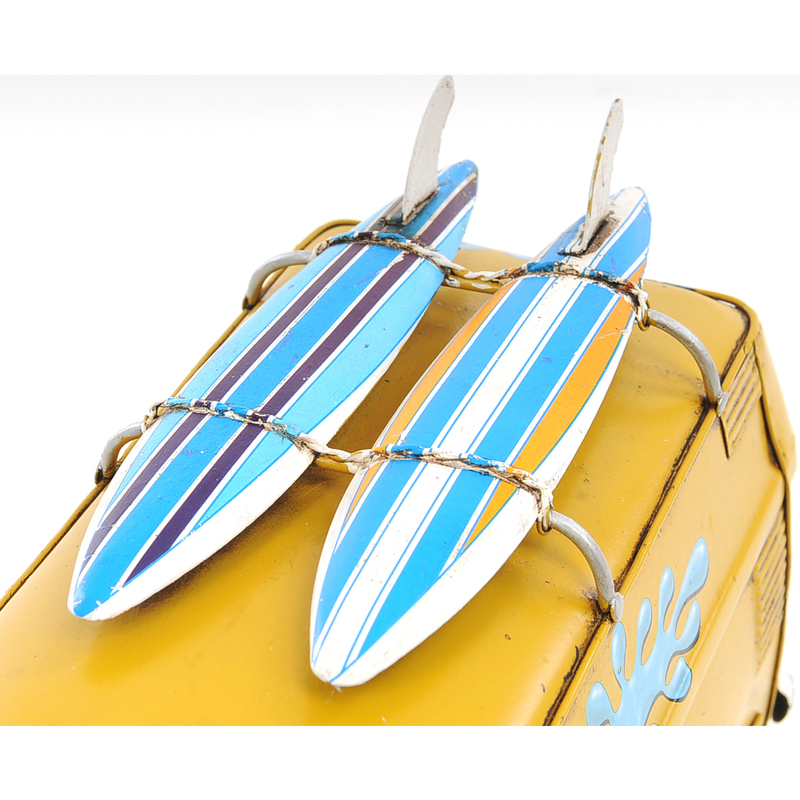 It is handcrafted in iron, with remarkable level of fine detail and in a Union Jack Design. 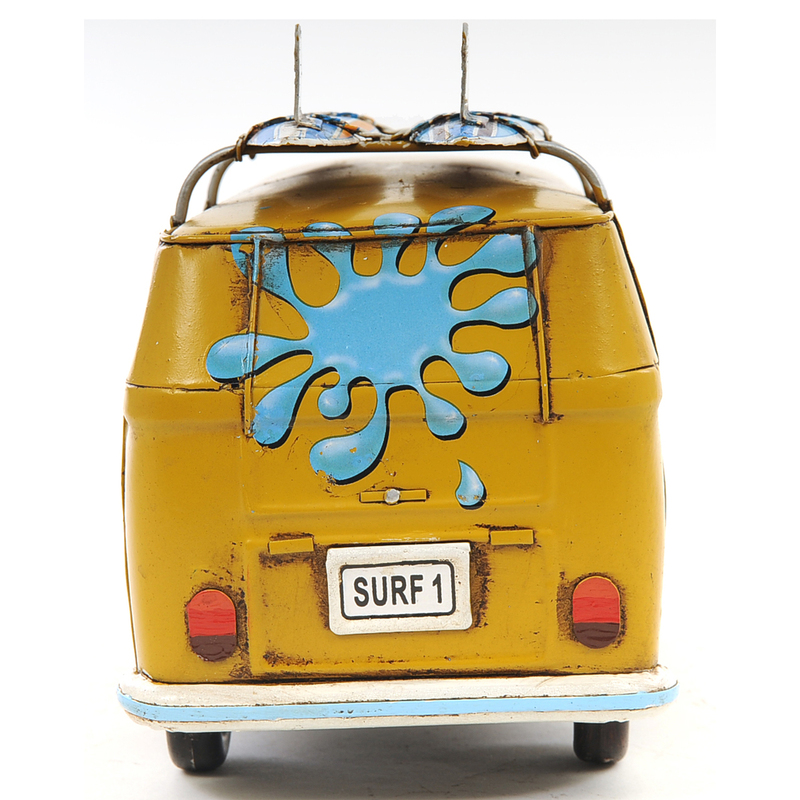 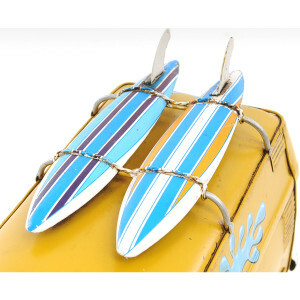 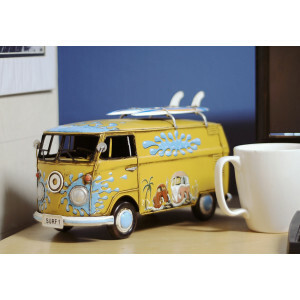 It features authentic paint, light weight body chassis, and two surfboards on a roof rack. 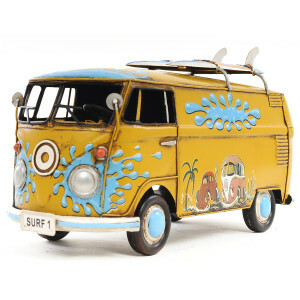 A must for the collector and enthusiast! 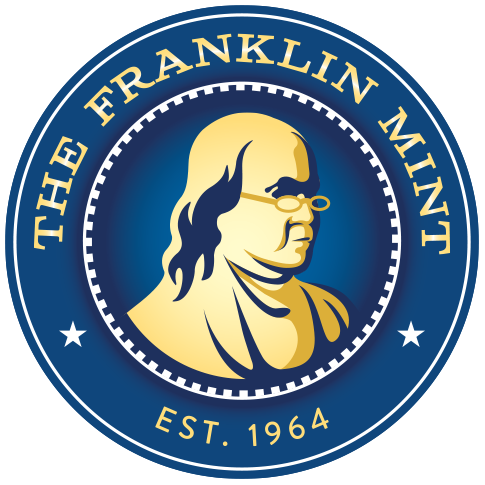 Dimensions: 12.5" x 4.75" x 7.5"